A hand grenade found Sept. 2 and a 57 mm Japanese mortar round discovered Thursday at Hapuna Beach State Recreation Area on Hawaii Island have been detonated by the Army Corps of Engineers as an ordnance cleanup continues there, officials said. Star-Advertiser. Hawaii's unemployment rate rose to a seasonally adjusted 6.2 percent in August in yet another sign that raises questions about the strength of the state's economic recovery. Star-Advertiser. Gov. Neil Abercrombie's Human Resources director, Sunshine Topping, will leave her post Friday. Civil Beat. Gov. Neil Abercrombie has appointed Barbara Krieg as interim director of the state Department of Human Resources Development after director Sunshine Topping resigned. Star-Advertiser. Hawaii's latest graduation policy proposal that reverses a recommendation to reduce social studies requirements also goes against promises made in the state's Race to the Top. Civil Beat. Russians Help Hawaii Hunt for Japanese Tsunami Debris. Hawaii Reporter. The Asia Pacific Clean Energy Summit and Expo ended today in Honolulu. Some policy makers and planners asked why not use more volcanic heat to generate electricity in Hawai’i. Hawaii Public Radio. They came by land and by air and in the end, more than 50 homeless campsites were torn down and removed along Diamond Head Crater. KHON2. The state has ordered evacuation of 28 Niu Valley houses this weekend when two boulders — one of which weighs 7 to 10 tons and is likely to come loose — will be removed from a ridge above the structures. Star-Advertiser. The University of Hawaii is considering raising tuition and on Friday the public will have the chance to weigh in. Hawaii News Now. Lane closures related to nighttime soil sampling work for the Honolulu Rail Transit Project will begin Monday, September 19, the Honolulu Authority for Rapid Transportation (HART) announced today. Hawaii Independent. Former Kaneohe Marine Awarded Medal Of Honor. KITV4. The U.S. Department of Education on Thursday named three Oahu schools to the 2011 National Blue Ribbon Schools list. KITV4. It's a decades old debate of how to go about growth while maintaining the north shore's unique environment and community.KHON2. A spat involving Safeway and Hawaii coffee growers is still brewing, even after the supermarket giant agreed to change labeling on its Kona blend coffee. Associated Press. In a modern take on the great land rushes of the 19th century, Hawaii County is preparing to issue agricultural leases for Paauilo lands that have sat idle since 1994. Tribune-Herald. Kona Blue Water Farms Inc. will soon be no more. The company that marketed its farmed amberjacks as Kona Kampachi is dissolving. West Hawaii Today. Only two members of the public showed up Thursday evening to a hearing in Hilo by the state Department of Health's Clean Air Branch on proposed new restrictions to open burning. Tribune-Herald. With supply lagging, a slow economy, high gas prices and used car prices rising, some local automobile dealers said sales may continue to creep ahead or fall behind last year's numbers, but no one can be certain in a volatile market. West Hawaii Today. 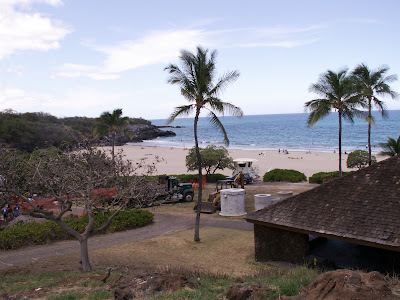 Maui Land & Pineapple Co. presented formal requests to Maui County Council members Wednesday for the entitlements the company needs to build the Pulelehua housing development in Mahinahina. Maui News. There’s been a lot of belt-tightening across the state in recent months, but nothing like what happened on Maui. Pacific Business News. State officials are completing a report with recommendations for the East Maui Animal Refuge to obtain a wildlife rehabilitation permit in the wake of an inspection and the federal seizure of 17 birds from the Haiku facility last month. Maui News. County ends fiscal year with 160 jobs open. Garden Island. A sailor participating in a beach cleanup in Hawaii found a message in bottle that had been dropped in the ocean more than five years ago by a Japanese school girl. Star-Advertiser. An unexpected treasure was found underneath the sizzling sun on the beaches of the Pacific Missile Range Facility Thursday, discovered by Navy Petty Officer Jon Moore during Ocean Conservancy’s International Coastal Cleanup Day. Garden Island.